Nvidia’s upcoming GTX 1080 Ti graphics beast is reportedly launching in 2017 featuring the company’s high-end GP102 GPU. Packing 3328 CUDA cores, a 1.6Ghz boost clock, 12GB of GDDR5X memory & an impressive 10.8 TFLOPs of graphics horsepower. The new GeForce GTX 1080 Ti is set to deliver Titan X Pascal flagship performance at a significantly lower price. This latest leak comes from China where effectively all of Nvidia’s channel partners manufacture their graphics cards. Just a couple of weeks ago we reported that Nvidia’s announcement that its CEO Jen-Hsun Huang was going to “break news” regarding a new gaming product. A couple of weeks before that we reported on the alleged GTX 1080 Ti specifications that surfaced on the web. Which indicated that the 1080 Ti will, for all intents and purposes, render the GTX Titan X Pascal effectively obsolete. Delivering nearly identical performance with an identical memory capacity at a significantly lower price. The GTX 1080 Ti will be powered by a slightly cut back variant of the GP102 GPU. 52 out of a total of 60 SMs are enabled with the remainder 8 SMs lasered off. This is only four SMs fewer than the GP102 variant used to power the GTX Titan X Pascal, Nvidia’s fastest graphics card to date. Although the GTX 1080 Ti will come with fewer functional CUDA cores than its bigger brother, it will actually perform just as well. Cutting a few more SMs from GP102 has more to do with improving yields rather than roping in performance. In fact, to make up for the cut SMs Nvidia has reportedly pushed the clock speeds up significantly compared to the Titan X Pascal. The result is 10.8 teraflops of FP32 compute compared to the Titan X’s 11. Furthermore, because Nvidia is allowing its partners to go wild with designs we’re bound to see factory overclocked 1080 Ti’s that outperform the Titan X right out of the box. Very much exactly like what we had seen with the GTX 980 Ti & the original Titan X last year. 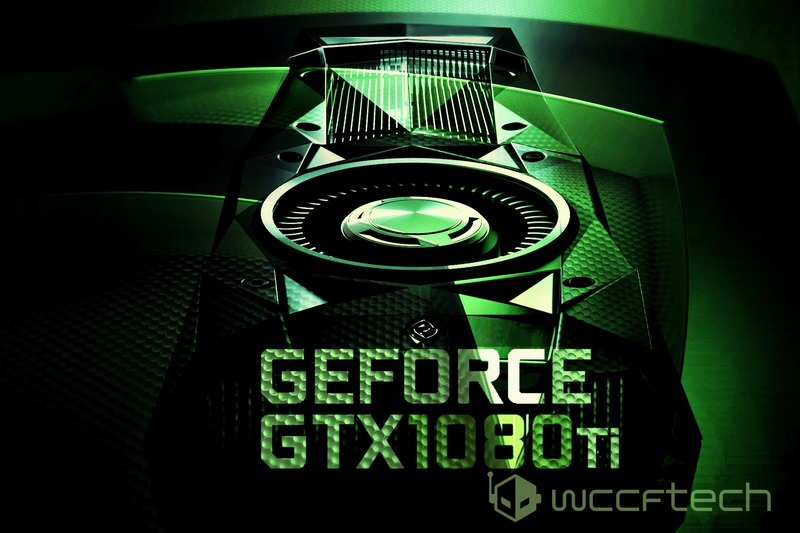 At the heart of the GTX 1080 Ti is Nvidia’s flagship gaming graphics processing unit, code named GP102. In terms of compute throughput & resources, GP102 has exactly 50% more of everything compared to GP104, the GPU that powers the GTX 1080 and GTX 1070 graphics cards. 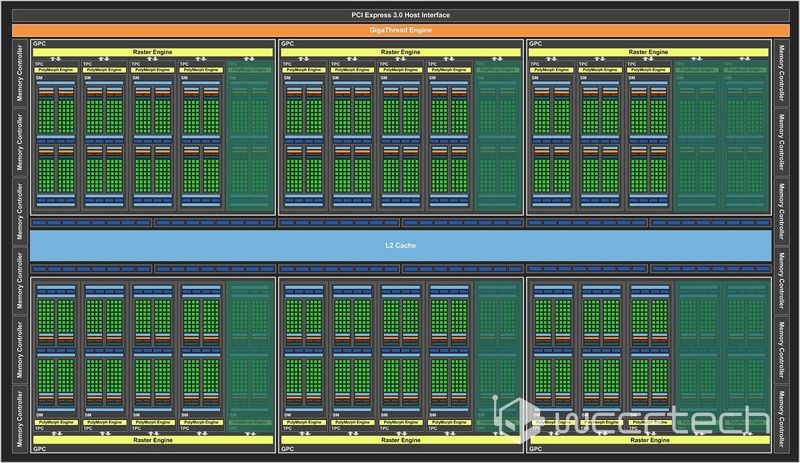 We’re talking 50% more CUDA cores, 50% more TMUs & ROPs, 50% larger cache & 50% wider memory interface. It also happens to be exactly 50% larger than the 314mm² GP104. This is a huge 471mm² chip with 12 billion transistors. A whopping 66% increase in transistor count compared to the 7.2 Billion of GP104. Which is actually very interesting, because it’s not clear at all as to why Nvidia needed to increase the transistor count by 66% for a 50% increase in resources. And it’s definitely not reflected in the die area. Since GP102, as we had just mentioned above, is exactly 50% larger than GP104. The card will feature a 12 gigabyte configuration of GDDR5X 10Gbps memory running across a 384bit memory interface. Yielding a massive 480GB/s of memory bandwidth. The card’s core clock is around 1.5Ghz and will boost to 1.6Ghz+. There’s obviously room for overclocking as well, especially on custom models with high-end aftermarket air and water cooling solutions. Finally, the card has a thermal design power of 250 watts, just like its bigger brother the Titan X. The GTX 1080 Ti is planned for an initial debut in January 2017 with availability scheduled to trickle in soon after. Pricing wise all reports indicate that it will be significantly less expensive than the Titan X. However, we haven’t heard of a specific MSRP yet. Which isn’t surprising, considering the launch is still relatively far out in time. It’s safe to assume that no final MSRP has been decided on at this for competitive reasons. With that being said the trend with Pascal’s base MSRP seems to be Maxwell + $50. The base MSRP for the GTX 1080 was $600, $50 more compared to the GTX 980 at launch, the same is true for the GTX 1070 compared to the 970 and the GTX 1060 compared to the 960. So we’re likely looking at $700 being the base MSRP for aftermarket GTX 1080 Ti’s & $800+ for the Founder’s Edition. A modest price cut to the GTX 1080 is very likely as well. The GTX 1080 Ti will compete directly with AMD’s upcoming “Vega 10” high-end graphics cards. Which will either carry RX 500 series brand names or updated “Fury” series brand names. These cards will feature 16 gigabytes of second generation stacked high bandwidth memory, up to 4096 GCN cores and 12 teraflops of graphics horsepower. AMD has teased the launch venue for its upcoming Vega 10 flagship GPU just a month ago. And has been talking up Vega for the past couple of months. Although, we’ll likely see the GTX 1080 Ti & Titan X Pascal go head to head with AMD’s upcoming VEGA 10 cards in the first half of 2017 rather than 2016. That’s going to be one hell of a show and certainly one you won’t want to miss.